Liver transplantation is the surgical removal of the failed or injured liver and replacing it with a portion or all of a healthy liver from another person. It is considered as a major and critical surgery. Living donor liver transplantation – where a portion of a healthy liver is taken from a healthy person and transplanted into the receiver. This is mostly done for children as the size of the organ is small in their case. 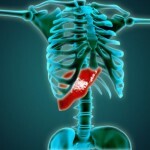 Liver is the only organ that has the capacity to regenerate after an injury. A liver transplantation is necessary only when the liver is damaged beyond its capacity to regenerate. The reasons for liver transplantation are numerous. In children, the common cause is the under development of organs. In adults, the common cause is infection of Hepatitis C virus that leads to liver failure. Other causes are Hepatitis B, Non Alcoholic Fatty liver disease, Primary Biliary Cirrhosis (build-up of bile inside the liver) and Primary Sclerosing Cholangitis (liver inflammation). In both adults and children, tumors are also one of the main reasons for performing liver transplants. Drug over dosage, though rare, is also one among the causes for liver transplants. Autoimmune hepatitis and also certain metabolic diseases necessitate Liver transplants. As part of the process, several tests would be conducted to evaluate whether a transplant is necessary. Blood Tests, Ultrasound, X-Ray, Electrocardiogram and Pulmonary functions are done on the patient. In the case of Orthotopic transplantation, the organ is taken from the non-living i.e., brain dead person. Consent is obtained from the relatives of the donor. Also, the blood type, height, weight, and chest circumference are taken into account as the organ should match the receiver. Donors with contraindications (malignancy in brain, HIV, alcohol abuse) are also evaluated as part of selection. 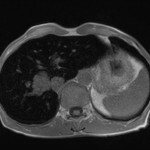 Ultrasound and Liver biopsy may be done if required. In the case of Living donor liver transplantation or the split liver transplantation as it is normally called, a part of the healthy liver is taken from the donor (whether dead or alive) and is tailored to the recipient’s liver size. 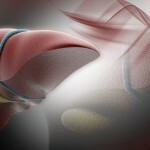 A healthy liver has two lobes. 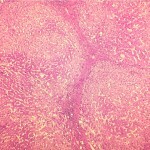 Either lobe can be transplanted and grown into a full healthy liver. Split-liver transplantation helps in increasing the organ supply. But it has its own risk as the donor’s safety is a major concern. This type is usually done for children and the donors are usually their parents or relatives. Liver transplant is done only after the doctor evaluates the patient and finds him fit for Transplant. Even if the patient is fit for transplant, he has to wait to find a right donor. During this waiting time, the doctor would treat the patient to cleanse the blood and keep the patients vital organs from getting affected by the liver condition. Liver failure is critical and leads to frequent hospitalization. Living donor transplants are a boon in such cases where the waiting time becomes short. If the donor is available, the patient is immediately hospitalized and tests are done to check the health of the patient (for undergoing surgery). Surgery takes up to 12 hours. After the transplant, the patient is monitored for complications. Soon after the patient is stable, he/she is sent home, this generally takes 10-20 days. But periodical checkups and tests are scheduled to monitor the transplanted liver’s functions. 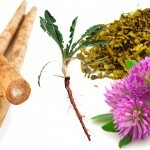 Medications are usually to be taken for the rest of the life. 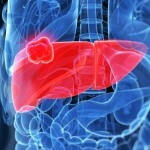 Liked this article on Liver Transplants – The Basics and have something to say? Comment below and don’t forget to SHARE THIS ARTICLE!